robust and lively, and helps deliver the best to an eCommerce business. At Ace eComm, we recognize the potential in Miva Merchant and have a team of professionals who are committed to provide you the best Miva Merchant Product Entry Services. At extremely cost effective prices, you can witness high quality service in the quickest turnaround time! 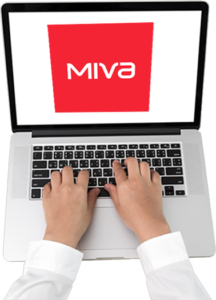 With our relentless support and industry expertise, we can manage your Miva Merchant Product Listing in an effective and time-bound manner. We have worked with a large number of eCommerce companies dealing in a wide range of products such as Baby Products, Fashion Apparels, Jewellery, Sports Equipments, Electronic Equipments, Footwear, Cars & Sports Bikes, Automotive Ancillaries, Industrial Products, Medical Equipments, Health & Fitness Items, Stationery Items, Travel Accessories, Kitchenware and many more! We can comfortably obtain crucial product information like SKU, UPC, title, description, brand name, MPN, price etc from various sources such as online catalogs, hard copy catalogs, scanned brochures, scanned images, PDF files, supplier’s website etc. Your customers would be able to make a much better choice if the products are properly classified. Hence our experts will assign specific product categories and subcategories which will enable your customers to locate their desired products more quickly. We can also add crucial product attributes such as colour, weight, shape, dimension, fabric, model no. etc. Providing your customers with detailed product specifications can have a positive impact on your Miva Merchant Store. Our creative Content Writers have the ability to craft compelling, engaging and SEO oriented product descriptions. This would play a major role in the customer’s buying decisions, whereas SEO would ensure that your product page ranks number 1 on various search engines. Adhering to SEO norms, we can create your product page URL, product meta title and meta description. To strike a visual appeal, we can add suitable images and graphics. Our Image Editors have the ability to alter any image, regardless of its pixels or size. If required, they can create, enhance, crop and even resize product images. We will make the best use of upsell and cross-sell technique by displaying a list of related items and accessories, which could clearly result in more sales! Worried about bulk product upload? It’s now time to bid farewell to those worries! Our experts can upload a huge number of products in a timely manner via bulk listing softwares like Turbo Lister, Auctiva, InkFrog, and CSV files. We will review and monitor your competitor’s websites by observing the prices they are offering to their customers. Once we give you our feedback, you can offer the best prices to your customers and stay ahead of your competitors. We can also help you with inventory management be constantly checking on the products availability status. Additionally, we would ensure that out-of-stock products are listed as out-of-stock. Any wrong information on your ecommerce store could be disastrous for your reputation. We’ll also manage order processing and order tracking. This would enable a swift and smooth delivery process.